In August 2016 MGM Resorts International took over Boyd Gaming Corporation’s share in the Borgata Hotel Casino and Spa. Almost immediately after the deal went through, MGM let the world know that they would soon be launching an MGM-branded online casino and poker site in the state of New Jersey. This led to the creation and official launch of playMGM on the 1st of August 2017. In the few months that it has existed, this online operator has already built an enviable reputation for itself. There is no doubt that much of its initial success can be attributed the world-famous MGM name, but lasting success needs to be built on more than mere reputation, especially in an industry as competitive and overpopulated as the New Jersey online gambling market. True success can only be generated by offering punters excellent service, a great collection of games, attractive offers and bonuses and excellent mobile app versions. Today we will be putting playMGM under the microscope to see if they deserve to carry the iconic MGM name in our review. Most online gambling sites in New Jersey seem to be in a never-ending battle to offer players the largest selection of games. This often results in operators simply giving existing games a quick cosmetic reskin and a new name before presenting it to the public as an all new game exclusive to their particular site. And as we enter 2018, the truth is that players see through this. In fact, many of them went through this exact experience as kids when they bought a 1000-in-1 cartridge for their SNES only to discover that half of the games were just adaptations of Mario Bros. They remember the bitter taste of this injustice and encountering it again today is likely to turn them against an operator in a heartbeat. 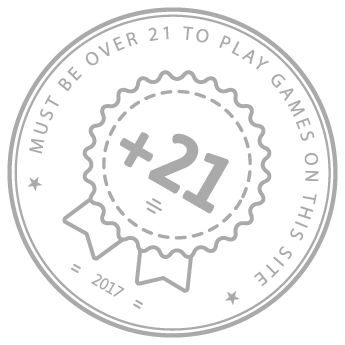 Thankfully playMGM are not trying to play the numbers game and instead offer their players a good variety of interesting and well-made games. Every new player that registers on playMGMcasino.com will receive a $25 bonus on the house, from the house. This welcome bonus can be used to play any of the games found on the site, with the only restriction being a x20 wager requirement. If you thought using BONUSSEEKER only gave you the one bonus, think again because the best is yet to come – playMGM will 100% match your bonus up to an-unheard-of-in-the-history-of-online-gambling-in-NJ total of $2,000. The only small print for this massive bonus is a x20 wager requirement. playMGM are getting punters in the Festive Spirit thanks to their daily bonuses every day during the month of December. Every day between 1 – 31 December, players can unwrap a brand-new prize when they login. It could be Freeplay, a deposit bonus or even reward points for their loyalty program. 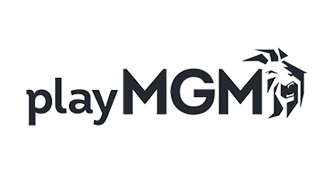 playMGM offers players the option of gaming via an Android or iOS app on their smartphone or tablet. While this is good news, there is a downside too. Unfortunately, the mobile app only provides players with a limited version that pales in comparison to the full offering they can experience on the desktop version. The apps provide a stable connection via WiFi and 4G. Players will likely experience minor lag times, bugs and slow initializing times that has come to be expected with the New Jersey mobile casino app market. Overall, the experience is pretty average and is no better or worse than most of the mobile apps in this market. playMGM carries the weight of perhaps the most iconic name in US gambling. And the honest truth is that it is maintaining the stellar reputation thanks to great promos and a solid games library. However, we feel that playMGM has the potential to improve the brand’s reputation rather than merely maintain by improving in a few areas.